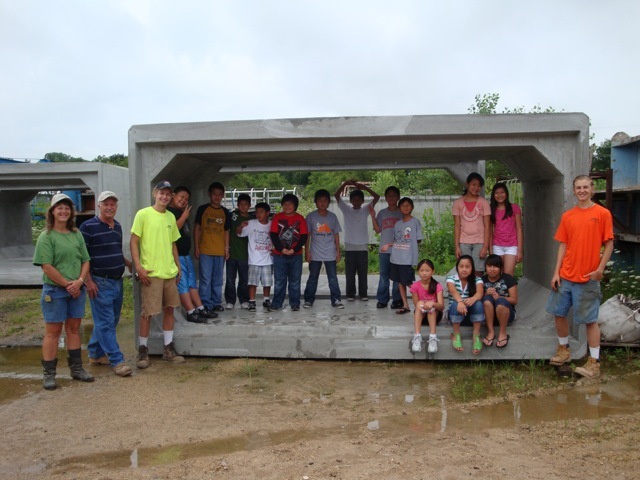 Crest Precast Inc. La.Crescent, Minn. hosted a La.Crosse, Wisc. School District class at our Precast Plant. The class is a physical science course on chemistry and simple machines. The summer education program is for ESL (English as a Second Language ) students and has 17 - 6th graders largely composed of Hmong heritage 1st and 2nd generation immigrants from Thailand and Laos. Teachers Karla Lawrence and Linda Mader take many field trips over the 4 week course to include a waste to electrical energy plant, electronics robotics class at the local technical college, county fair tour, bowling, swimming and a boat tour of the Mississippi river. The students were instructed on the mix design and chemical heat reaction of concrete, examined hoist pulleys, wire mesh benders and band saw operation. 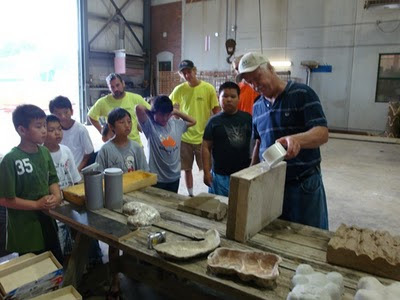 The instruction explained how jagged aggregates were formed from crushing and smooth aggregates shaped from river flows. 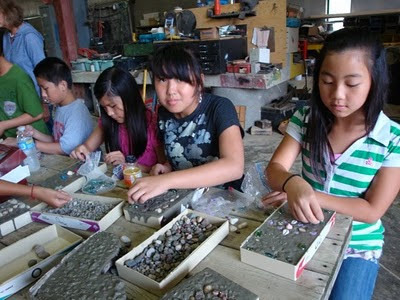 The event culminated in each student casting a decorative garden paver using multi colored rock and special stones. Personal cast pavers were delivered to the school for each student. 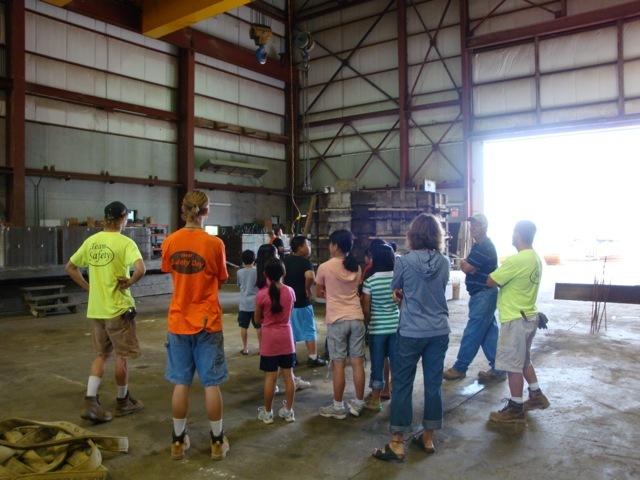 The event proved to be successful when the next day the students corrected a 4-H judge in the correct term of concrete instead of “cement” pavers. The students voted to choose the box pipe picture as the class record DVD cover photo. Teachers stated there is nothing better than real life examples of concepts introduced in the classroom and showing students what a future careers are available.